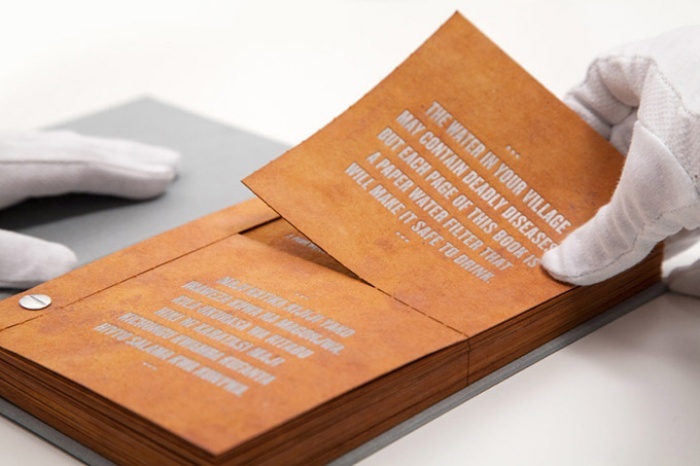 Drinkable Book Purifies Water, Saves Lives | OhGizmo! 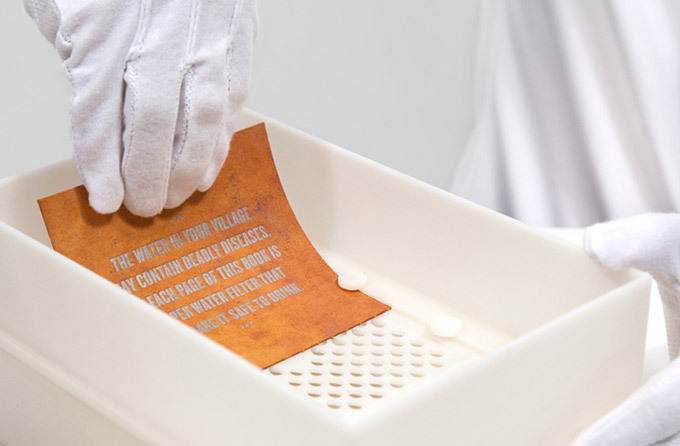 The filter paper purifies water to almost 99.9% purity and only costs pennies to produce, which definitely makes it a promising and worthwhile concept. The Drinkable Book was designed by Brian Gartside.